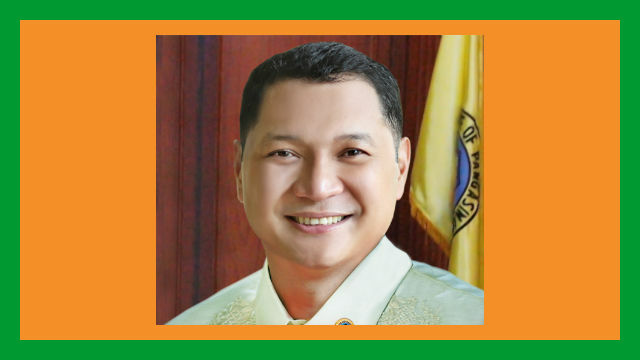 Lingayen, Pangasinan — Governor Amado I. Espino, III brushed off rumours that he will switch with his father, former governor and now 5th district Representative Amado T. Espino, Jr. for the 2019 gubernatorial race in Pangasinan. This was openly stated by Governor “Pogi” Espino in an ambush interview by the local media on October 10 in Bani town, where he himself, along with Department of Transportation Undersecretary Tim Orbos lead the launching of TESDA – IACT Tulong sa Pangasinan program. “There’s no truth about the rumours that we will switch positions,” said Governor Espino who expressed confidence with how his leadership works for the welfare of Pangasinenses. “Marami na rin po ang nagsasabi na the province of Pangasinan is doing very good. Name-maintain po natin at nadadagdagan ang mga programa,” the provincial chief executive said. Governor Espino is the flag bearer of the ruling PDP – Laban party to run for the gubernatorial race. Congressman Espino, the anointed provincial Chairperson of the PDP – Laban, will run for second term as 5th district solon. The Espino camp is finalizing its slate from the provincial down to the municipal and city levels. In taking pride of the present status of Pangasinan, Governor Espino said the Department of the Interior and Local Government will soon confer the province its third Seal of Good Local Governance award. City and municipal local government units in the province are equally performing well as several localities will also receive the the coveted SGLG.